Notebook e computer portatili Dimensioni schermo 14.1"
MicroScreen 14.1", LCD WXGA Display - notebook spare parts (LCD WXGA, Dsplay, 35.8 cm (14.1"), B141EW02 V.4 HW0A). Produttore: MicroScreen. B141EW02 V.4 HW0A. DIRITTO DI RECESSO. MPN: MSC32229. MicroScreen 14.1", LCD WXGA Display - notebook spare parts (LCD WXGA, Dsplay, 35.8 cm (14.1"), B141EW02 V.4). Produttore: MicroScreen. B141EW02 V.4. DIRITTO DI RECESSO. MPN: MSC32228. MicroScreen 14.1", LCD WXGA Display - notebook spare parts (LCD WXGA, Dsplay, 35.8 cm (14.1"), LTN141W1-L01). Produttore: MicroScreen. DIRITTO DI RECESSO. MPN: MSC32253. MicroScreen 14.1", LCD WXGA Display - notebook spare parts (LCD WXGA, Dsplay, 35.8 cm (14.1"), LTN141W1-L04-00A). Produttore: MicroScreen. DIRITTO DI RECESSO. MPN: MSC32257. D. 8GB DDR3 RAM and 128 GB eMMC, TF Card Support 128GB : large RAM keep the laptop working smoothly,which is equipped with huge storage capacity that you can download whatever you like from network and save them. Processore core2duo. HP ELITEBOOK 6930P. 250 GB HDD! HP EliteBook 6930p - Scheda tecnica. OTTIMA BATTERIA OLTRE 1:30 ORE IN WINDOWS 7. Velocità del processore [ghz]2,8. INSTALLATO WINDOWS 7 PROFESSIONAL. Model Number: EZbook 2. 1 x Jumper EZbook 2 Notebook. 64GB hard drive capacity, holds your growing collection of digital photos, music and videos. Hard Drive Capacity: 64GB. Instead of using resolution like low-end notebook, adopting 1920 1080 rosolution which includes excellent features like quick response, saturated color, vivid image, energy saving and so on, to give experience of sharpest image. Tipo di prodotto: Computer portatile, Fattore di forma: Clamshell. RAM installata: 6 GB, Tipo di RAM: LPDDR3-SDRAM. Scheda grafica integrata. Sistema operativo incluso: Windows 10 Pro. Colore del prodotto: Grigio Qualche volta semplificare vuol dire aggiungere bellezza. MicroScreen 14.1", LCD WXGA Display - notebook spare parts (LCD WXGA, Dsplay, 35.8 cm (14.1"), B141EW04 V.3 HW4A). Produttore: MicroScreen. B141EW04 V.3 HW4A. DIRITTO DI RECESSO. MPN: MSC32234. MicroScreen 14.1", LCD WXGA Display - notebook spare parts (LCD WXGA, Dsplay, 35.8 cm (14.1"), B141EW01 V.1). Produttore: MicroScreen. B141EW01 V.1. DIRITTO DI RECESSO. MPN: MSC32225. pc portatile Windows 10 colore bianco nuovo 14,1"
New 14.1" Laptop Ultrabook. Model OPNEW14.1 Ultrabook. 64GB Storage with 4GB RAM, Micro SD card expansion slot. 3G / 4G Dongle(LTE/WCDMA/EVDO/TD-SCDMA). Capacity 64GB. Audio MP3, WMA, WAV, OGG, FLAC, ALAC, APE, AAC, AC-3. MicroScreen 14.1" LCD WXGA Display - notebook spare parts (Dsplay, 35.8 cm (14.1"), LTN141W1-L04-W0A). Produttore: MicroScreen. DIRITTO DI RECESSO. MPN: MSC32258. MicroScreen 14.1", LCD WXGA Display - notebook spare parts (LCD WXGA, Dsplay, 35.8 cm (14.1"), B141EW02 V.1). Produttore: MicroScreen. B141EW02 V.1. DIRITTO DI RECESSO. MPN: MSC32227. MicroScreen 14.1" LCD WXGA Display - notebook spare parts (Dsplay, 35.8 cm (14.1"), LTN141W1-L09-10C). Produttore: MicroScreen. DIRITTO DI RECESSO. MPN: MSC32267. MicroScreen 14.1", LCD WXGA Display - notebook spare parts (LCD WXGA, Dsplay, 35.8 cm (14.1"), B141EW03 V.0). Produttore: MicroScreen. B141EW03 V.0. DIRITTO DI RECESSO. MPN: MSC32230. MicroScreen 14.1", LCD WXGA Display - notebook spare parts (LCD WXGA, Dsplay, 35.8 cm (14.1"), LP141WX1 (TL)(04)). Produttore: MicroScreen. DIRITTO DI RECESSO. MPN: MSC32242. MicroScreen 14.1", LCD WXGA Display - notebook spare parts (LCD WXGA, Dsplay, 35.8 cm (14.1"), B141EW01 V.0). Produttore: MicroScreen. B141EW01 V.0. DIRITTO DI RECESSO. MPN: MSC32224. MicroScreen 14.1", LCD WXGA Display - notebook spare parts (LCD WXGA, Dsplay, 35.8 cm (14.1"), LTN141W1-L09-B0B). Produttore: MicroScreen. DIRITTO DI RECESSO. MPN: MSC32268. MicroScreen 14.1", LCD WXGA Display - notebook spare parts (LCD WXGA, Dsplay, 35.8 cm (14.1"), LP141WX1 (TL)(E2)). Produttore: MicroScreen. DIRITTO DI RECESSO. MPN: MSC32244. Produttore: MicroScreen. DIRITTO DI RECESSO. MPN: MSC32246. Acer Swift 3 SF314-54-59UX. Tipo di prodotto: Computer portatile, Fattore di forma: Clamshell. RAM installata: 8 GB, Tipo di RAM: DDR4-SDRAM. Scheda grafica integrata. Colore del prodotto: Argento. Portatile ACER ASPIRE 3050 14,1"
Questo prodotto è accompagnato da Scontrino fiscale. NOTA BENE Tipo Corriere. MicroScreen 14.1" LCD WXGA Display - notebook spare parts (Dsplay, 35.8 cm (14.1"), LTN141W1-L04-000). Produttore: MicroScreen. DIRITTO DI RECESSO. MPN: MSC32256. 1 x HDMI - mit nur einem Kabel an Flachbildschirm oder Fernseher anschließen. Sie können mit einem Supervisor-Passwort die Daten auf der Festplatte verschlüsseln. 1 x LAN - erlaubt die Verbindung zum Internet. TrekStor SurfBook W1 14,1. Sie sind zur Rückgabe gebrauchter Batterien als Endnutzer gesetzlich verpflichtet. Sie können Altbatterien. WiFi 802.11 b/g/n: 2.4 GHz. Die auf den Batterien abgebildeten Symbole haben folgende Bedeutung. Sistema operativo Windows 10 Pro. Capacit di archiviazione 120 GB. Touch screen No. Bluetooth Si. Grado B uno o pochi segni di usura. Grado A nessun segno di usura pari al nuovo. CLASSIFICAZIONE dei gradi. 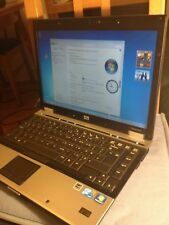 MICROTECH ULTRABOOK E-BOOK PRO N4000 14.1" 32 eMMC SSD 120GB UBUNTU. e-book Pro N4000. Capacità di archiviazione di32 GB eMMC SSD 120GB. Ubuntu 18.04 LTS ®. Adattatore MicroHDMI-HDMI. Lega di alluminioserie 5000.